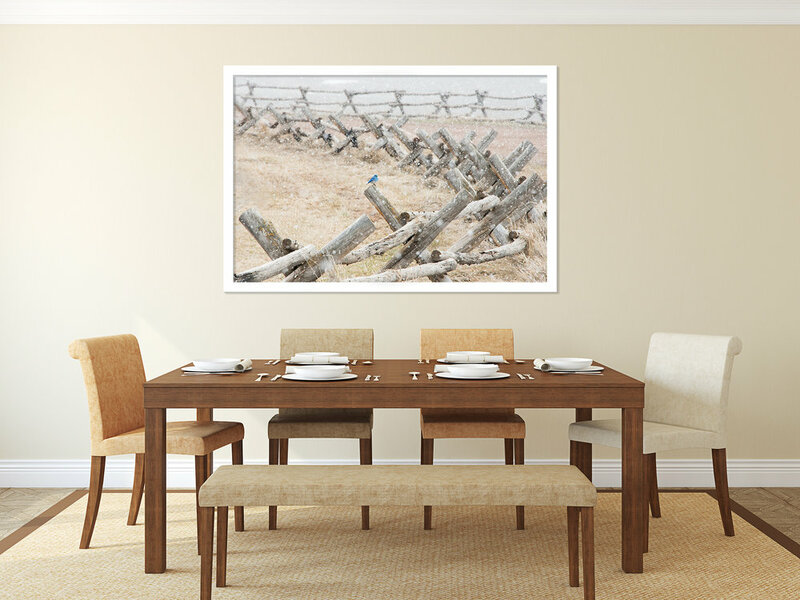 Weidel’s inspiration portfolio of fine art photographs arose both our minds and emotions. His gifted eye serves as a conduit to receive and communicate sacred revelations, from the beauty of nature to profound reflections of the human condition. More . . .
Weidel’s images of Aspen, capture the essence of this fabled town, nestled in the high Rocky Mountains. More . . .
With unique and characteristic mastery, Weidel successfully creates abstract fine art with his camera. More . . .
Weidel captures the essence of nature by fully immersing himself in the elements. pursuing the quest of experiencing the perfect visual record of a moment. He creates a pure unsullied depiction of nature, featuring strongly defined landforms, weather and ambient light. More . . . In a glance, you can quickly see Weidel’s passion for wildlife and the surrounding nature. His goal is to share with the world the stunning beauty of wildlife. More . . .
Weidel’s street photography can be characterized by unpremeditated chance encounters and random incidents within public places. More . . .
Weidel’s inspiration portfolio of fine art photographs arouses both our minds and emotions. His gifted eye serves as a conduit to receive and communicate sacred revelations, from the beauty of nature to profound reflections of the human condition. His camera captures in a microsecond elements that might otherwise go unnoticed, a microcosm of life—ourselves and our universe. It is these windows to our physical realm that have the power to move us, in an ever-changing world which seems to be spinning faster than we can keep up with. These moments, serve as a grounding force and, in a literal sense, beckon us to pause, reflect and indeed “smell the roses,” albeit in a visual way. From a singular image of a mountain bluebird to standing sentinel in a blizzard, Weidel's images of inspiration serve as a reminder that we as humans can also exist with beauty and grace in adversity. And an image capturing the essence of nature’s force in a raging mountain river can evoke the realization of our impermanence within the universe, leading to the affirmation that all life is sacred and inspiring us to be reverential towards nature and each other. 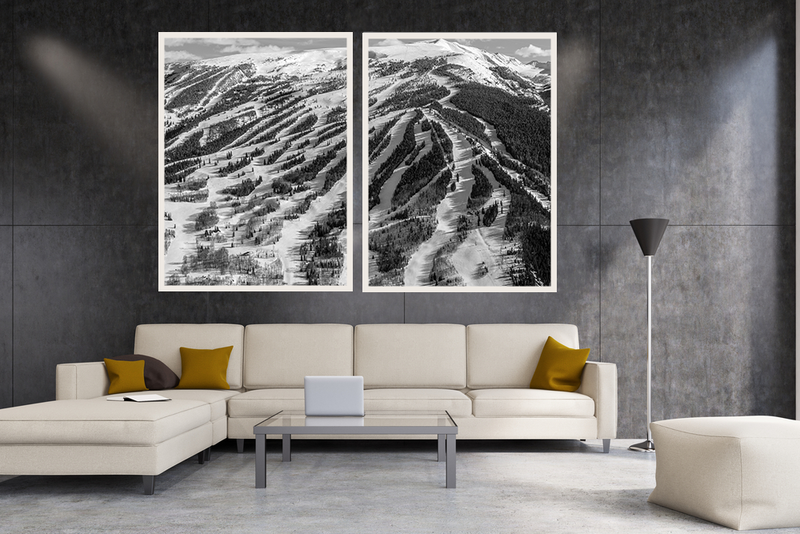 Weidel’s images of Aspen, capture the essence of this fabled town, nestled in the high Rocky Mountains. Aspen is the new Rome of the modern world . . . all roads, or at least all flight paths, lead to it. Aspen hosts a diverse concoction of international visitors and intellectual, entrepreneurial and artistic activists. They are all bonded by the incredible, majestic beauty of the mountains and the unique ethos of the inhabitants. With unique and characteristic mastery, Weidel successfully creates abstract fine art with his camera. Weidel’s abstract photographs are like poetry, they do not dictate a clear narrative but rather, quietly offer a fragment, a piece of a mysteriously familiar narrative. He does not attempt to represent an accurate depiction of a reality but instead uses his lens as a painters’ palette knife and brush to create colors, forms and gestural marks to create a composition with its own singular visual language. His work can be seen as carrying a moral dimension, in that it can be seen to stand for virtues, such as order, purity, simplicity and spirituality. It allows us to “see” with our mind what we cannot physically see with our eyes. Weidel captures the essence of nature by fully immersing himself in the elements. pursuing the quest of experiencing the perfect visual record of a moment. He creates a pure unsullied depiction of nature, featuring strongly defined landforms, weather and ambient light. He has a deep appreciation of the beauty of the natural environment and his images strive to preserve and record the legacy of Mother Nature. In the tradition of Ansel Adams, Galen Rowell and Edward Weston, Weidel uses his camera to create visual masterpieces that are flawless, majestic and evocative. Weidel masterfully combines the mercurial elements of land, sky and water to bring to us breathtaking images that embody his artistic vision. In a glance, you can quickly see Weidel’s passion for wildlife and the surrounding nature. His goal is to share with the world the stunning beauty of the wildlife that he sees through his own eyes. Weidel has honed his fieldcraft and stalking skills which, combined with his innate knowledge of a myriad of different species, has enabled him to capture superlative images. Some animals are difficult and dangerous to approach, and his knowledge of animal behaviors is essential to be able to predict their actions. Weidel possesses a rare patience—the fruits of which can be viewed in his Animal Kingdom collection. From dawn to dusk, he will endure the elements and rough terrains in pursuit of that perfect moment, and even travel across the globe to commune with nature and experience wildlife in their natural habitat. The discerning eye will recognize the how technically and artistically sophisticated his work is. In a world where ever increasing numbers of species are becoming endangered, Weidel’s images serve as a historic reminder of the diversity of the planet’s wildlife and ecosystems for future generations. Weidel’s street photography can be characterized by unpremeditated chance encounters and random incidents within public places. As one can observe from his often poignant image making, he waits for the moment when vision and composition merge into a transcendent whole. His work ranges from both traditional black & white to color, while only using available light. His inspiring photographs depict everyday life—the mundane, the ordinary, the bizarre, the comical—and as such are a compassionate portrayal of the family of man, all while elevating his subjects into the realms of the extraordinary. Weidel’s signature works are infused with an awareness of visual aesthetics. 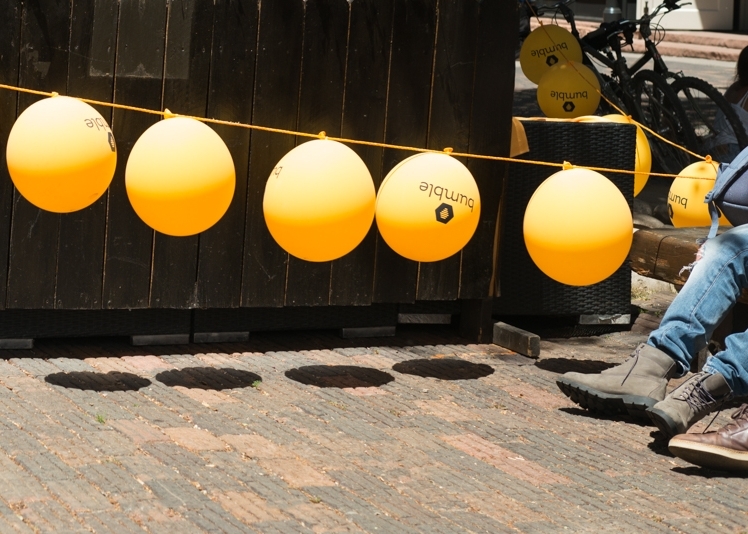 In his image “Five Bumble Balloons,” captured on the streets of Aspen, Colorado, the eye is, at first, drawn to the bright yellow balloons. Their black circular shadows come to light like boreholes in the cobblestones, seemingly solid objects in their own right. The composition commands our attention, which is then diverted to the feet and jeans infringing in the righthand foreground. As with all successful street photographs, there is another layer, a quiet story being written. Weidel is adding a subtle narrative, a 21st century social commentary . . . this was a social event, about to go underway—the clue . . . the “Bumble” logo. Though upside down, a modern social media “dating app,” the bodies attached to the feet and jeans, were waiting to gain access to the event. Some things in nature and life remain constant.